Durite's double socket voltage inverter, modified wave 12 volts DC to 230 volts AC inverter for maximum 1000 watt continuous load. 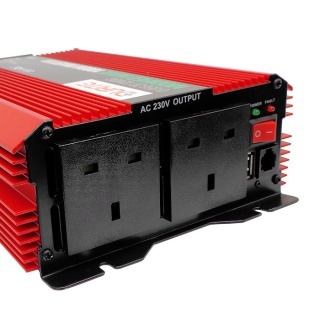 1000W 230 volts ac, duel socket modified wave inverter. 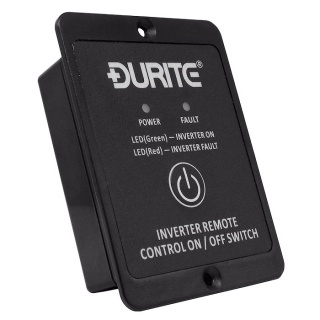 Input 11-15.5V DC to 230V AC 50Hz output. 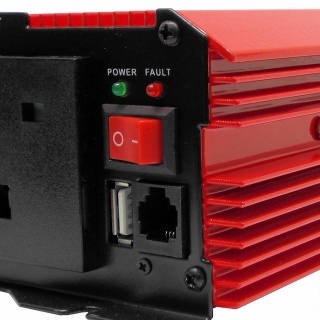 Rated at 1000W continuous power output. Protected against overload, over temperature, low battery and short circuit with warning light. Supplied with 2 x standard 3-pin BS1363 UK socket outlets. ON-OFF remote switch with approximately 6 Metre cable. Protection Overload, over temperature, low battery and short circuit. Certification E-marked, EMC and R10 approved. The application chart (shown below) is meant as a guide only, individual applications must be checked for their power requirements. 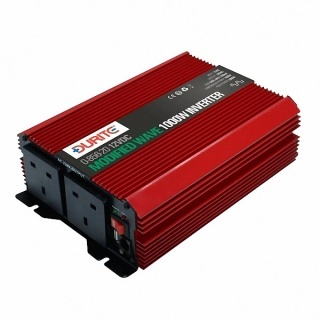 Not all electronic products will work with a modified wave inverter, for example; laptop computers, battery chargers and fluorescent lighting, pure sine wave inverters are recommended for these sensitive electronic devices. If you are unsure of any of these factors, seeking out a Professional Auto Electrical Engineer for a 'First Time Installation' could actually save you money.